BIRGUNJ, Aug 5: Though the country has adopted a policy of using mass transit, the import of small vehicles is seen to be growing unabated. The import of auto-rickshaw via Birgunj customs has been growing staggeringly in the past few years. 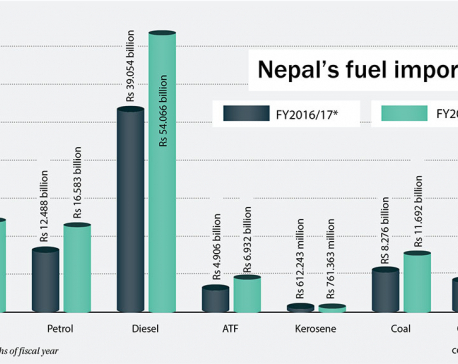 The import figure of the three-wheeler, locally known as tempo, via Birgunj jumped by 74 percent to 8,682 units in the Fiscal Year 2017/18, compared to the previous year. The total cost of these vehicles was Rs 1.28 billion. In the previous year, 4,989 units were imported. 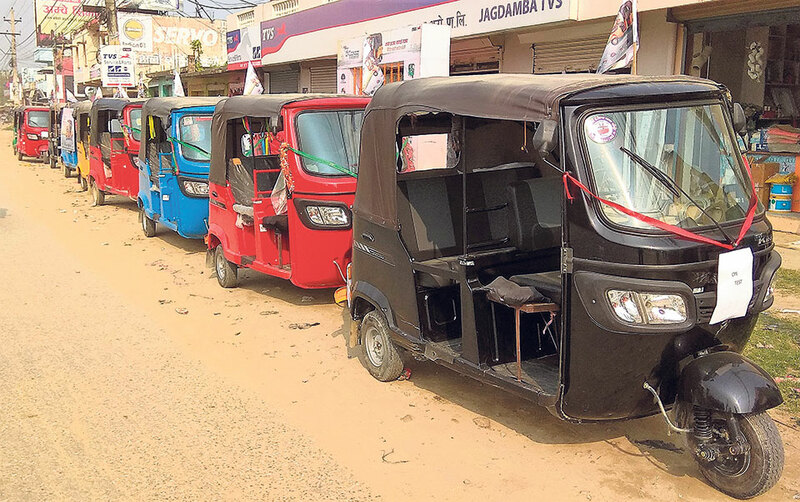 The surge in the demand of auto-rickshaws, mostly in the plain lands of southern Nepal, follows a recent drive of rapidly opening new roads in the rural areas. 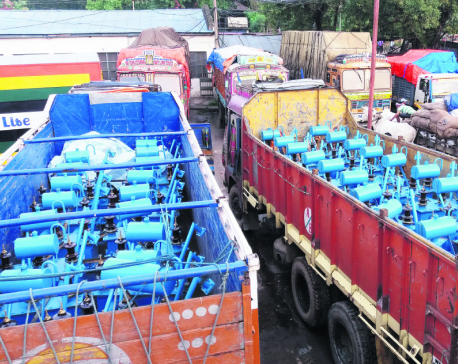 These diesel-operated three-wheelers are also supplied to mid-hills, according to customs officials. With the rise in the use of auto-rickshaws for public transport, many young people are currently involved in running these vehicles on rent. Chief of Birgunj Customs Office, Shebantak Pokharel, said that they have seen a huge increment in the import of auto-rickshaws. The government has imposed 30 percent customs duty and 55 percent excise duty on the import of auto-rickshaws. An additional 13 percent VAT is also charged on top of it. Due to the import of auto-rickshaws alone, the Birgunj customs office has collected Rs 1.60 billion in revenue. There are about a dozen brands of auto-rickshaws that are imported from India. These vehicles are sold between Rs 400,000 to Rs 550,000. The import of auto-rickshaw had jumped by nearly seven times in Fiscal Year 2016/17 as compared to the previous year. The country had imported 17,782 of these three-wheelers in Fiscal Year 2016/17, whereas only 2,613 were imported the previous year, according to the data of Department of Transportation Management (DoTM). As per the department, most of these vehicles were registered in erstwhile Narayani and Janakpur zones.